Well the NEXT ’11 Conference in Berlin is just around the corner and we’ve already given you 5 reasons you should be attending. But today we want to give you an insiders perspective on this wonderful European technology event with a brief chat with the Martin Recke, the Head of Conference Management at SinnerSchrade, the company behind the conference. Hi Martin, so how did NEXT begin and what is your involvement? 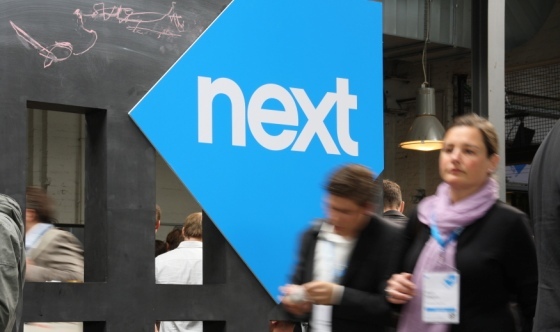 NEXT was founded in 2006 almost by accident. We were planning for the celebration of the tenth anniversary of SinnerSchrader, today one of the leading digital agencies in Germany. First we just thought of a party, but then we had the idea to add a tiny, little conference to the party. That conference would start after lunch, to keep costs low, and would more or less morph into a party later in the day. Back then, I was working on the PR team of SinnerSchrader. We were two guys on that team, and we both had started to blog some months ago. In early 2006, the Web 2.0 meme was just about to take off in Germany. We choose Web 2.0 as the conference topic, and that was a huge hit. At that time, there were virtually no other conferences covering Web 2.0 in Germany. NEXT was one of the first, if not THE first. Web 2.0 did take off, and so did the conference. There was a strong atmosphere of departure in these days. As an agency, we were just back from the cruel years after the dot-com burst. The first NEXT looked like a breath of fresh air for a whole industry. SinnerSchrader was back on track and on the relevant set. We got awesome feedback, and so we decided to give it another try in 2007. Since then, NEXT took place in May every year. We had started in Hamburg, as SinnerSchrader is based there and back then had a lot of office space. The first NEXT took place in our own offices that were large enough to run a conference with several hundred participants and a party with about 1,000 people. In Summer 2006, we moved to another office. So we had to find a new home for NEXT as well. Three different conference venues in Hamburg later, in the late summer of 2009, we started to think about moving the event to Berlin. This move turned out to be an adventure by itself, but also a good idea. Berlin is really attractive for top speakers and an international audience. What makes NEXT ’11 different from most other conferences? We try to put the focus on Europe. NEXT is always looking for radical web innovation that comes from here. And we gather a truly unique crowd of professionals, creative people and developers, of agency people as well as their clients, and start-ups as well as venture capitalists. You can always meet people you would never have met at most other conferences, as these groups typically go to completely different events. You chose Data as your theme this year, why? Data is the new oil. It’s the source of value creation in the digital age. There is a lot of debate going on about how we use data and how to protect data, but most of it is just scratching the surface. With NEXT11, we try to give a broad overview about all things data and some deeper insights as well. There is a famous quote from Eric Schmidt that illustrates the situation quite nicely: According to Schmidt, every two days now we create as much information as we did from the dawn of civilisation up until 2003. That’s unbelievable, isn’t it? Data is just the raw material. As a digital society, we create information from data and then move up to higher levels of insights. What are the biggest hurdles in putting on a conference? The biggest hurdle is to put everything we need together in one place for two days. That requires an awful lot of work, time and money, and unlike most digital projects, there is just no room for delays. The conference date is fixed well in advance, and everything revolves around that fixed date. But that’s nice as well, because a fixed date frees up a lot of energy. You’ve got a great list of startups launching, which ones are you personally most interested in? Personally, I’m most interested in Newshype, an aggregator for news and blogs aimed to the German market. We had a somehow similar site called Rivva that was very useful, but it closed down some months ago. Also very promising to me looks replydone, a system that helps to answer the piles of e-mail people like you and me tend to get. Are the any interesting success stories from the startups that have presented before? SoundCloud certainly comes to mind. Founder Alexander Ljung presented the swedish start-up from Berlin-Mitte at NEXT08 in Hamburg. Less than a year later, SoundCloud closed a €2.5 million funding round led by Doughty Hanson Technology Ventures. And early this year, SoundCloud took funding from Index Ventures and Union Square Ventures. That’s a real European success story, and we are happy that Alex was on stage at NEXT quite early. Finally, you have an incredible list of speakers, how do you manage to fit them all into a couple of days and who do you think people should absolutely not miss? We have six parallel stages. The International track is curated by Monique van Dusseldorp who is also the programme director of TEDx Amsterdam. Then there are six vertical tracks for in-depth coverage of topics like commerce, social, mobile, branding, media and technology, three of them on each day. Added to this is the NEXT stage in the networking area, where for example the NEXT Elevator Pitch takes place. And last but not least we have a workshop room with a more intimate setting. With all this going on in parallel, people have to take tough decisions on what to attend and what to miss. I think you shouldn’t miss Peter Vesterbacka of Angry Birds fame, another European success story. Tim Ferriss and Sarah Lacy, both from the US, are also on my list. And then there is the session on Europe getting its head out of its A$$, with your Hermione Way presenting the winners of the NEXT Elevator Pitch and then an investors panel moderated by Paul Jozefak. Paul has promised to get them fighting in no time and disclosing juicy tidbits shortly thereafter. Great, well we’re really excited to be covering the event. Where do people go for more info or to register?